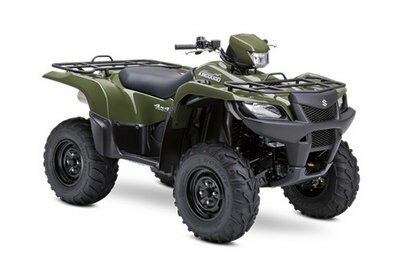 Meet the 2014 Suzuki KingQuad 750AXi, a tough off roader designed for tough men. 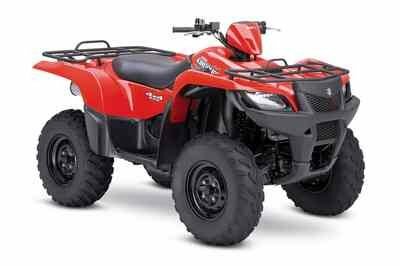 This capable ATV is designed to be able to tackle any tracks with poise and is fitted with the latest technologies developed by the Japanese manufacturer. At its heart lies a 4-Stroke, Liquid-Cooled, DOHC engine with a displacement of 722cc. The unit is able to deal with anything you ask of it and delivers a strong low end torque exactly where you need it most. The engine’s power is sent to the wheels through a QuadMatic CVT-type automatic transmission with fender-mounted gate-type shifter for high/low forward ranges, plus neutral and reverse. 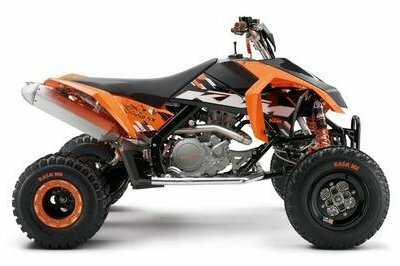 The ATV’s backbone is a high-tensile steel frame that was carefully forged to deliver a perfect balance between lightness and rigidity. 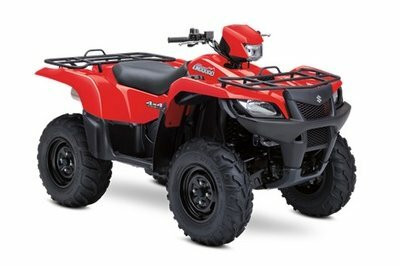 The 2014 Suzuki KingQuad 750AXi is offered with a base price of $8,899. 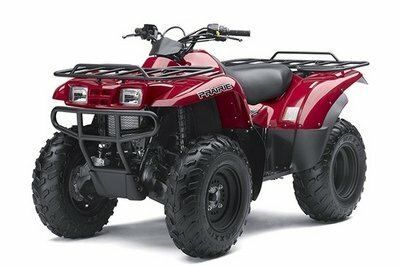 Hit the jump for more information on the 2014 Suzuki KingQuad 750AXi. For three decades, Suzuki literally invented the four-wheel ATV. The original Suzuki LT-125 established Suzuki as the First On 4-Wheels. 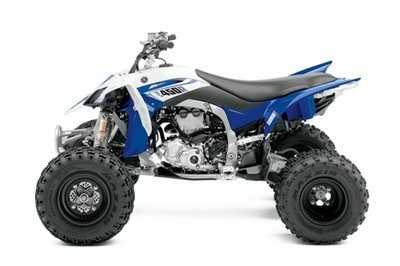 The Suzuki KingQuad 750AXi carries on the tradition of performance that rules. It’s engineered to tackle the toughest jobs and nastiest trails without breaking a sweat. It’s loaded with technologically advanced features for impressive all-around performance including the fuel-injected 722cc engine, housed inside the high-tensile steel frame that develops abundant torque (especially in the low- to mid-rpm range), which gives the 750AXi exceptional performance. 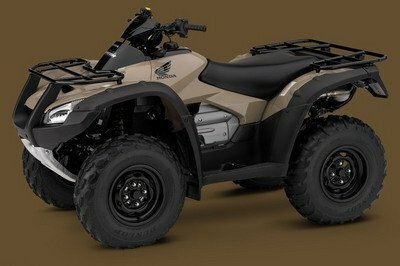 Independent rear suspension, a locking front differential and a host of other innovative features place the KingQuad 750AXi at the front of the pack. • 722cc liquid-cooled DOHC 4-valve fuel-injected engine tuned to deliver a mighty low-to-mid range torque along with a powerful high-rpm output. • Lightweight aluminum cylinder bore is electro-plated with Suzuki’s own race proven SCEM (Suzuki Composite Electrochemical Material) for improved heat transfer and tighter piston clearance. • Cylinder canted forward 48 degrees for lower center of gravity, reduced engine height and lower seat height, and is rubber mounted with two balancer shafts for smooth performance. • Semi-gear driven valve system minimizes cam sprocket size allowing a short/narrow cylinder head design and reduced overall engine height. • The rubber-mounted engine uses two balancer shafts to keep the powerful ride smooth. • Ultra-efficient air filter has both paper (for superior filtration) and foam (easily cleaned and re-used) elements for better durability and less maintenance. • QuadMatic™ CVT-type automatic transmission designed for maximum versatility and convenience – fender-mounted gate-type shifter operation for high/low forward ranges, plus neutral and reverse. • Compact torque-sensing limited-slip front differential offers more powerful traction plus light steering effort. A differential-lock system provides serious four-wheel-drive traction. • Convenient handlebar-mounted push-button controls allow the rider to easily select between 2WD, 4WD and differential-lock 4WD to get the right setting for any traction condition. • Advanced engine brake system minimizes free-wheeling to reduce downhill speed. • High-tensile steel frame with special attention given to a balance of rigidity and weight for optimum chassis performance and a comfortable ride. • Independent double A-arm front suspension (6.7 inches of wheel travel) includes large diameter shock absorbers with 5-way spring preload adjustment. • Fully independent, A-arm and I-beam rear suspension with long suspension travel (7.9 inches of wheel travel), includes large diameter shock absorbers with 5-way spring preload adjustment and large diameter rear sway-bar. • Large, 200mm diameter front disc brakes with single-piston calipers designed for strong, reliable braking performance. • Sealed, multi-plate rear brake system, with a clutch-type design provides high durability, offers reduced unsprung weight, and is low-maintenance. • Pressed-aluminum wheels for reduced unsprung weight. • Polyethylene skid plate provides front-to-rear under carriage protection with minimal resistance over rocks and rough terrain. • Easy-to-read LCD instrument display – includes speedometer (mile/km selectable), odometer, twin-trip meters, hour meter, clock, fuel gauge, drive range. • Distinctively styled 30W multi-reflector halogen headlights, and compact 5/21W tail light and brake light – additional 40W multi-reflector, handlebar-mounted auxiliary light. • High output magneto generator system and 18-amp maintenance-free battery provides extra power. • Large 4.6 gallon fuel tank positioned below seat for a low center-of-gravity – includes vacuum-operated petcock, ratchet-style fuel cap and convenient bar-type fuel gauge. • A handy storage compartment is mounted on the right-side front fender. • Front and rear cargo racks are covered in a wrinkle-finish black paint for increased durability. There aren’t many ATVs that can stand with dignity when they are put next to the Suzuki KingQuad 650AXi, as this Japanese machine is one of the best models in its class. You can’t point a feature that makes it the best, because all its elements work wonderful together resulting in pretty impressive performances. Its engine delivers a huge amount of power, the handling is great and is also pretty comfortable, so what more could you ask of it. Although, this doesn’t mean that it doesn’t have it faults. The biggest problem is represented by the stock tires which are a bit too small for our tastes and if you’ll buy one of these machines you should consider changing them with bigger units.